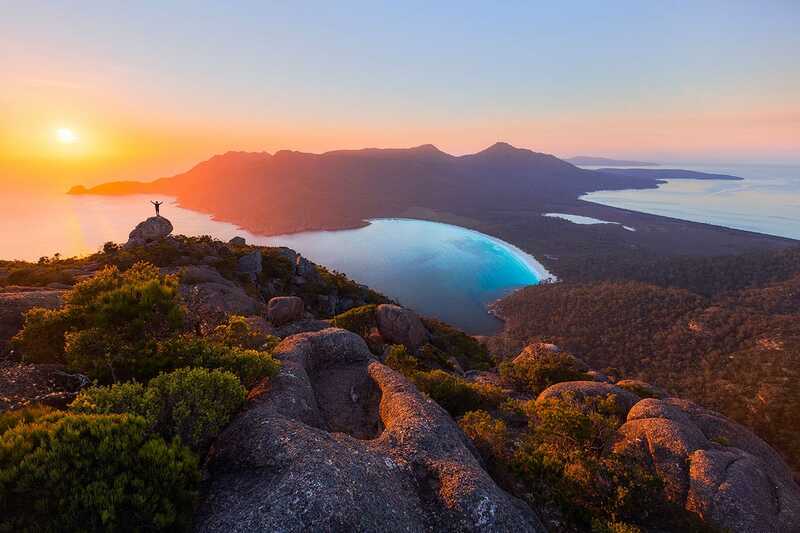 Freycinet National Park is a peninsula of pink granite mountains, pure white beaches, coastal dunes and dry Eucalypt forests on the island’s east coast. With its white sand, pristine waters and dramatic granite landscapes, it’s no wonder US magazine Outside has named Wineglass Bay one of the top 10 beaches in the world. The park is famous for Wineglass Bay, just one of its many white sandy beaches. The pure clear turquoise waters here are perfect for sea kayaking, swimming, and scuba diving. The Hazard Range offers climbing, abseiling and mountain walking, and the coastal heathlands have wonderful day walks. 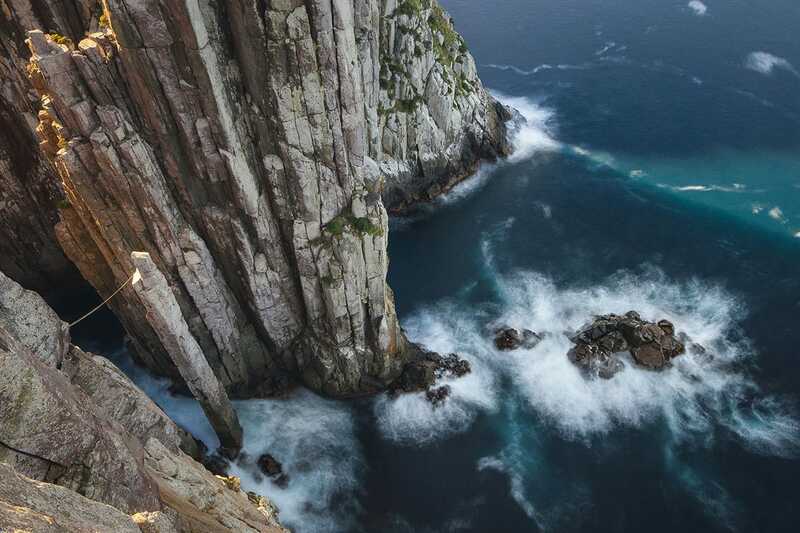 Bird lovers may see a white-bellied sea eagle gliding overhead, or large Australasian gannets diving for food. In the forested areas you will often see or hear small nectar-feeding birds such as eastern spinebills, honeyeaters, and yellow-tailed black cockatoos, which often feed and fly in raucous groups. Moulting Lagoon Game Reserve, just outside the park on the Coles Bay road, is a wetland of international importance. 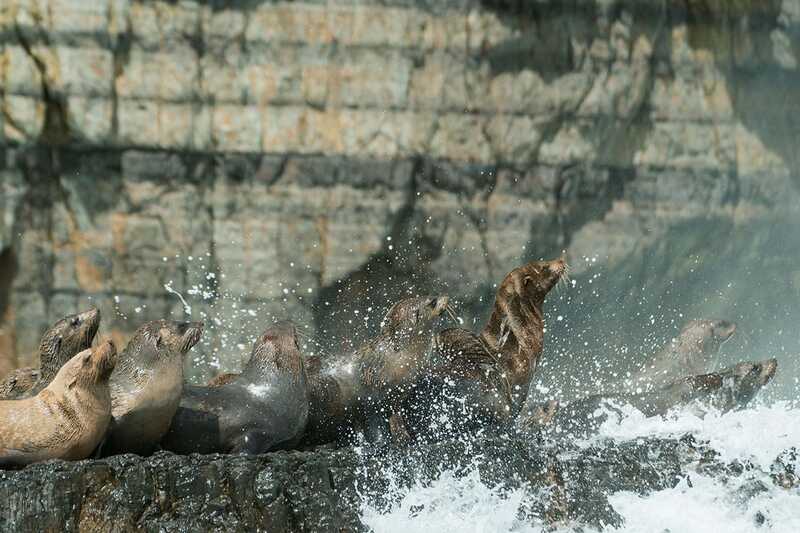 For more information please visit the Discover Tasmania website.